The Mozilla Event name “Moz Mantra” which held as the in celebration of 15 years of mozilla on 30th March, 2013 and committed to host it every year. One of the top 10 institutes of INDIA i.e., National Institute of Technology (NIT) in there about 122 members have actively participated in the event. Mozilla WebFWD session made students very interesting to know more about Entrepreneurship and how to get started with startups, which made students to ask questions and get clarified. Event ended with great feedback, so very very happy to be a part of Mozilla Community. Hi all,+Mozilla Club Hyderabad has hosted its 7th MozCafe +Barista Lavazza in Hyderabad for about 1.5 hrs.There are about 7 Mozillians +Vineel Reddy Pindi , +Galaxy Kadiyala , +barath vutukuri , +viswanatham santosh , +Raghu ram , +Vivek Kiran , +Srikar Ananthula (Me). 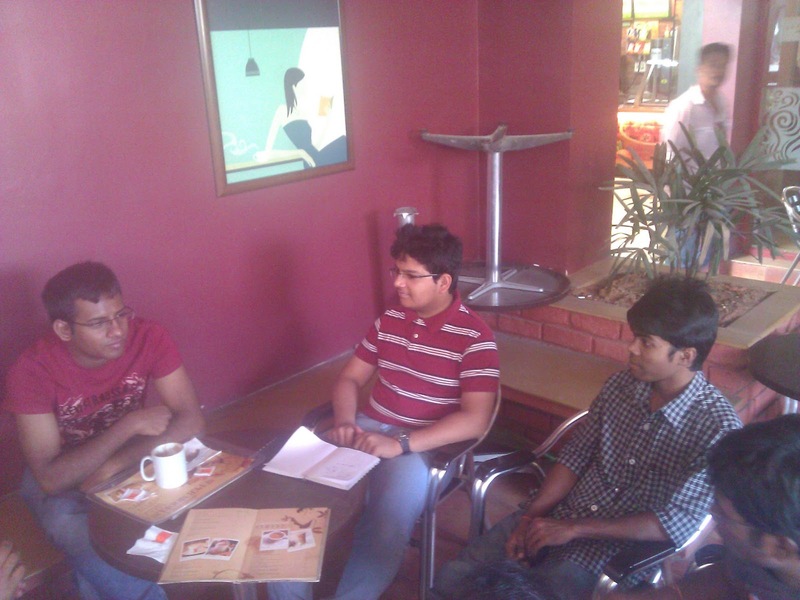 We had a discussion about Firefox Flicks by +Galaxy Kadiyal. +Vivek Kiran , +Raghu ram , +viswanatham santosh , +barath vutukuri shared their views regarding the Firefox OS and we all are super excited about it. 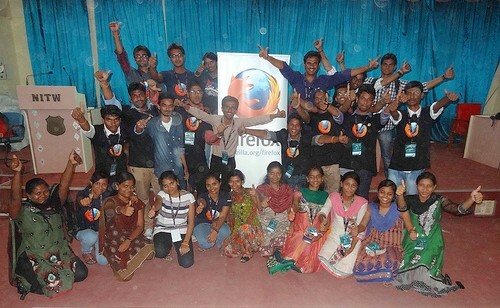 The Mozilla Event with the name “Mozilla Power” at SreeNidhi Institute Of Science and Technology (SNIST) aware and explore about Mozilla Community and it’s projects like Firefox, Thunderbird, Seamonkey, for designing and re-defining the Web, was held on 10th March, 2013. Over 120 showed interest in attending the session to learn & explore how “Mozilla Evolved” & its missions. Tools from Mozilla can be used to examine concerns and solutions in designing Web, which includes Web Maker Tools. Usage of Bugzilla , IRC. 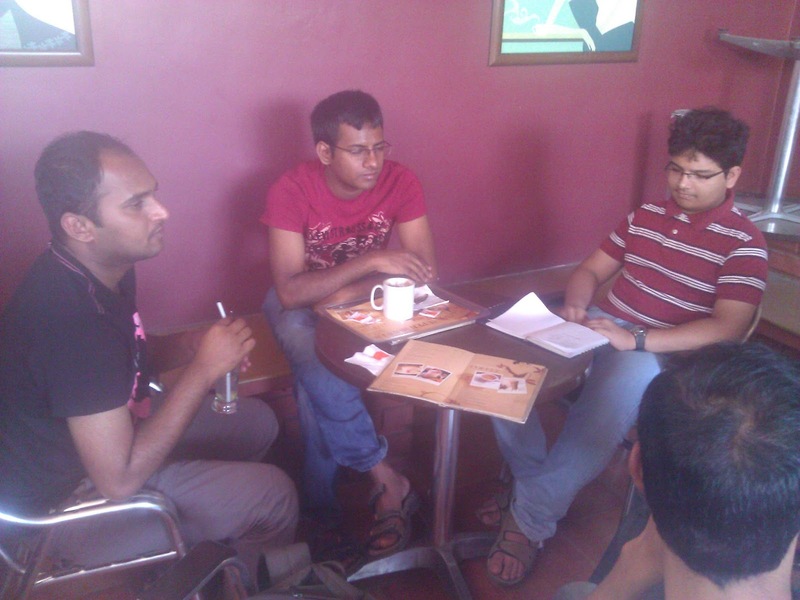 Webmaker Tools (Thimble, X-Ray Goggles ,Popcorn Maker) – Raghuram Korukonda, Santosh & Barath. In spite of attendees from different years and departments, students had different ideas for contribution towards Mozilla Community. It was very interactive and amazing experience with attendees. Session was delivered by REMO ( +Srikar Ananthula ) ,Student Rep(+santosh viswanatham) and Student Rep ( +barath vutukuri ) . Special Thanks to +Raghu ram for his effort and inspirational talk and also for exploring with different Tools and all concerned people .!! Mozilla tools were as “A Piece of Cake”, Can use in real-time which were not yet known to us and are very easy to use. It’s so exciting to learn how to create the web using Webmaker Tools. Few pics from the session.